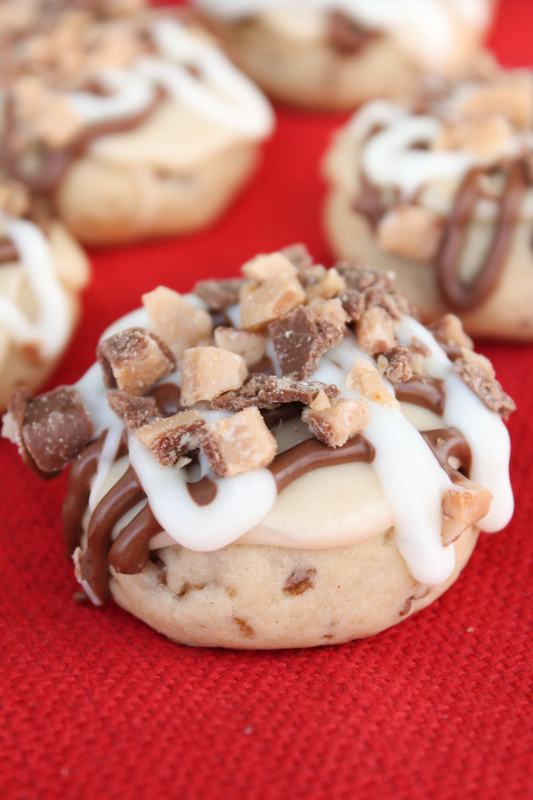 Frosted Toffee cookies are a great combination of a delicious cookie bottom topped with frosting and chocolate toffee bits. They are easy to make and get rave reviews for dessert or a party. We love the taste of chocolate covered toffee. We can polish off a bag of Heath bits with no problem. These delicious cookies have chocolate covered toffee in the cookie dough and sprinkled on top. Also a delicious brown sugar glaze and chocolate drizzle. I don’t think a cookie gets any better than this! Frosted Toffee Cookies are easy to make. They have the cookie base, a delicious glaze, and then chocolate drizzle with candy on top. Even with all the layers, each layer is very simple to make. They actually look so impressive you could serve them at a bridal/baby shower, cookie exchange, or for gift giving to neighbors. Our kids like them for family get togethers or summer bbqs. Be ready to serve these delicious cookies all year round. And making a double batch might be a good idea because these cookies don’t last long. These cookies can be made ahead of time and easily frozen in an airtight freezer container. After they are frozen you could stack them 2 deep. Be sure when freezing them that it is in a freezer container or freezer bag that is thicker than regular storage bags. Remove from freezer about 2 hours before serving and they will taste just as good as the day that you baked them. can you use margarine in place of the butter? We like the taste of butter in these cookies, but you could use margarine also. For a richer flavor you will want to use butter in your cookies. Butter is made from cream and margarine is made from vegetable oil. So we always opt for the butter over the margarine in these Frosted Toffee Cookies. In a large bowl beat together the butter, brown sugar, vanilla and egg with a mixer on medium speed with a hand mixer until light and fluffy. Turn to low speed and mix in flour, baking soda, and salt. Set aside 1/3 of the chocolate toffee bits for topping. Stir in the remaining 2/3 into the cookie dough. Roll into 1 inch ball and place on ungreased cookie sheet and bake at 325 degrees for 10-12 minutes. Cool completely. For the glaze, in a 1 quart saucepan heat the butter, brown sugar, and milk over med/low heat. Stir frequently until mixture comes to a boil and sugar is dissolved. Stir in powdered sugar and beat until smooth. Frost cookies immediately. Place chocolate chips and white chips in separate microwavable bowls and add 1/4 teaspoon of vegetable oil to each bowl. Microwave each bowl for about 1 1/2 minutes stirring every 30 seconds until all melted and smooth. Drizzle both chocolate flavors over each cookie and sprinkle each cookie with chocolate toffee bits. Full directions with ingredient amounts and detailed directions are posted below. Hand Mixer – This hand mixer is one of our favorites and lasts a long time. Cookie Sheets – 2 pack bakers half sheets are perfect for cookies and bar desserts. Spatula – Thin spatula for removing cookies with ease from cookie sheets. Great for pancakes and cake too. In a large bowl beat together butter, brown sugar, vanilla, and egg with mixer on medium speed until light and fluffy. On low speed mix in flour, baking soda and salt. Set aside 1/3 of the crushed heath toffee bits for garnish. Stir in the remaining 2/3 of the toffee bits into the cookie dough. Roll into 1 inch balls. Place on ungreased cookie sheet about 1 inch apart. Bake for 10 – 12 minutes at 325 degrees or until tops of cookies feel set when touched. Remove from cookie sheets to cool. In a 1 quart saucepan heat the butter, brown sugar and milk over medium/low heat. Stir frequently until mixture just comes to a boil and sugar is dissolved. Stir in powdered sugar and beat until smooth. Immediately frost the top of each cookie. Place chocolate chips and white chips in separate microwavable bowls. Add 1/4 teaspoon vegetable oil to each bowl of chips. Microwave on high for 1 1/2 to 2 minutes stirring every 30 seconds until melted. Using the tip of a spoon, drizzle melted chocolate and white chocolate over each cookie. Then sprinkle the remaining toffee bits on top. These can be refrigerated so the drizzled chocolate will set up quicker. In place of the toffee bits you can also use 3 (1.4 ounce) Heath candy bars (crushed). While those cookies look and sound good, they are not why I am writing. I have subscribed to Six Sisters for a long time. But, suddenly, I am not getting my emails. I figured something might have gone wrong and resubscribed. But, I am still not getting emails. I get some, but I don't think all, of your posts through Blogger. I really prefer to get emails. Can you help? Oh dear, I am in trouble. 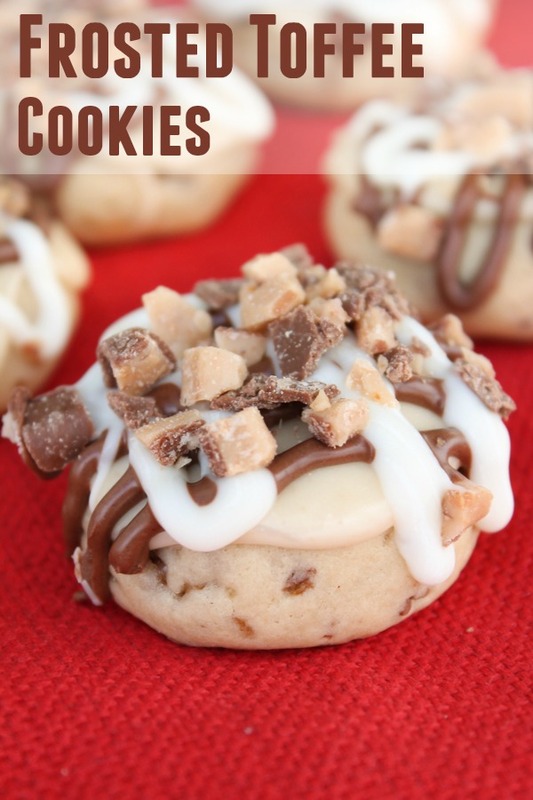 I love toffee, and these cookies look to die for! These taste good, but unfortunately they are much too difficult to make. The glaze is almost completely unworkable. It dries out way too quickly. It's either too hot or too dry. I had to throw away half of the first batch of glaze because it dried out too much, same thing with the second batch. And even when used very fresh it was hard to get the glaze to stick to the cookie. I want to make these but want to try with coconut flour. How much would i use of that? Thanks! The look delicious! Going to make them today but want to try with coconut flour. How much do I use? Thanks! Hi Elle, we haven't made these with coconut flour. We don't feel like we can answer this when we haven't made cookies with it. Sorry about that. Perfect cookies in every way! The dough came together effortlessly, scooped and rolled out beautifully, and taste absolutely scrumptious. 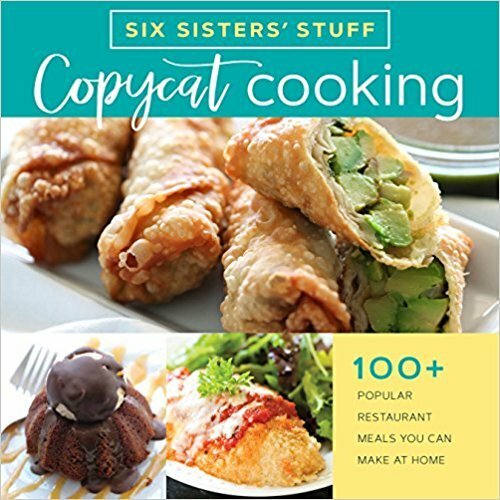 I love your recipes, and I always know when I find one it is a hands down winner. Looking forward to enjoying more of your yummy ideas. Yay! Hi Jeani. So glad you like the frosted toffee cookies. They are worth the wait! Have a great weekend and thanks for your sweet comment. You made our whole weekend!